Around 105 Palestinian patients and stranded families and students managed to return to the Gaza Strip on Thursday, via the Rafah terminal. The Rafah terminal at the borders with Egypt, the only way for Palestinians in or out of the Gaza Strip, had been closed for 37 days, until today. 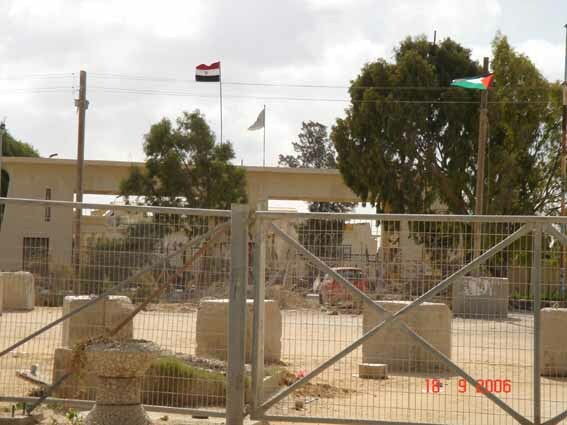 Egypt says that Rafah terminal will open for 3 days starting on Saturday May 15th. Rafah crossing was being run by joint Palestinian-Egyptian forces, with EU monitors in observance, in accordance with an agreement between Palestinian President Abbas and Israel in 2005. When the elected Hamas movement ousted Abbas forces from the Gaza Strip in June 2007, ending months of fighting, Egypt closed the border crossing, opening it only few days a year for special cases only. The move is seen by many activists and Human Right groups as aiding the Israeli siege on the coastal enclave.